Fr. Joseph Tuscan, OFM Cap. Fr. Joseph was born in Columbus, OH, in 1967 and was raised in Canton, OH. He entered Borromeo College Seminary in 1986 where he earned his Bachelor’s degree in Behavioral Sciences in 1989. In 1990, he professed his first vows as a Capuchin Franciscan friar. Making his Perpetual vows in 1993, he went on to earn his Master’s degree in Theology at the Washington Theological Union in 1995 and was ordained to the priesthood in 1997 in Pittsburgh, PA, by Donald Cardinal Wuerl, now of the Archdiocese of Washington, DC. Fr. Joseph’s first assignment after ordination was on the Pacific island of Papua New Guinea where he served for four years with our friars of the Custody there. Returning to the US in 2001, he has served in various capacities as Parochial Vicar, Military and Hospital Chaplain and as Pastor. Most recently, Fr. 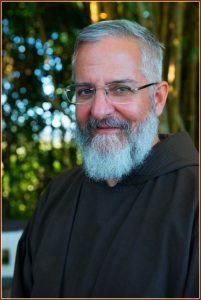 Joseph worked with our friars in the Custody of Puerto Rico and currently serves as a full-time Minister of the Word and Evangelization for our Capuchin Province, offering retreats and reflection days for parishes, Religious and Priests. ← Speaker Biography: Douglas Bushman, S.T.L.